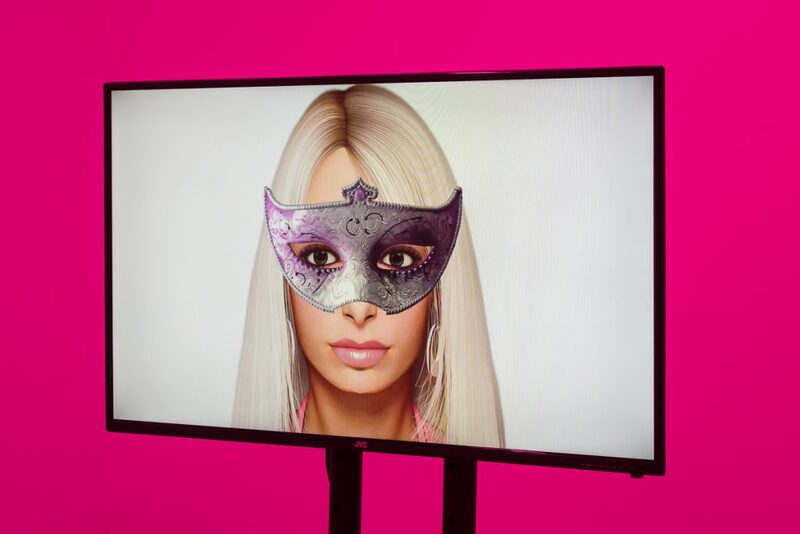 Annka Kultys Gallery is pleased to present Are You Online Now?, an exhibition of a new five-channel video installation by !Mediengruppe Bitnik. This will be the collective’s first solo presentation with the gallery. !Mediengruppe Bitnik (which is read as ‘not mediengruppe bitnik’) is an artists’ collective, with two of its members, Carmen Weisskopf and Domagoj Smoljo, focused on working on and within the internet. 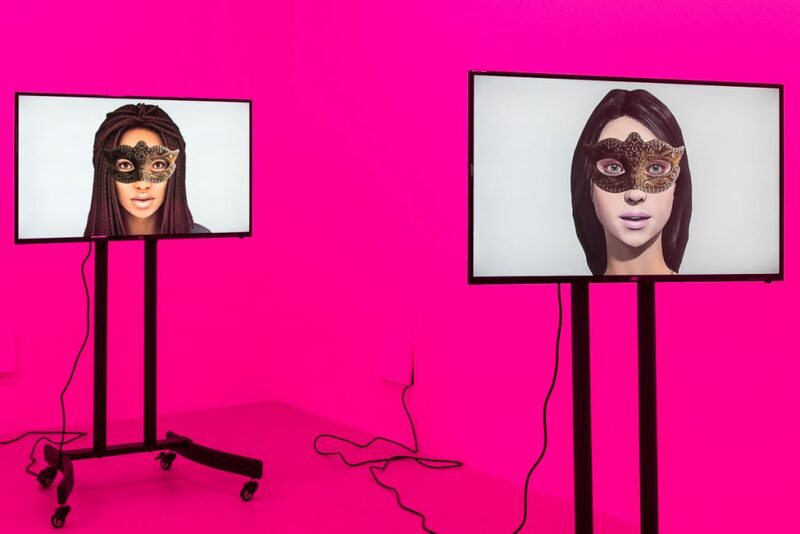 !Mediengruppe Bitnik’s work engages with many of the core tenets of the post-internet age, in particular challenging notions of surveillance, social interaction and internet consumerism. Recent works by the artists have involved subverting online surveillance cameras, bugging an opera house to illegally broadcast its concerts outside, exploring the so called dark-net. In early 2013 for example, !Mediengruppe Bitnik sent a parcel to WikiLeaks founder Julian Assange at the Ecuadorian embassy in London. The parcel contained a camera and a GPS transmitter in order to discover what would happen to the parcel on its journey. Delivery for Mr. Assange is described by the artists as a SYSTEM_TEST and a live mail-art piece. More recently, the group sparked controversy for creating a bot called ‘Random Darknet Shopper’ and sending it on a three-month shopping spree in the dark-net where it randomly bought items like ecstasy, fake trousers and even a Hungarian passport before having them sent directly to a gallery in Switzerland. Random Darknet Shopperfunctioned as an ongoing exploration of the deep-web through automatised robot-consumerism. On view for the first time in Are You Online Now? 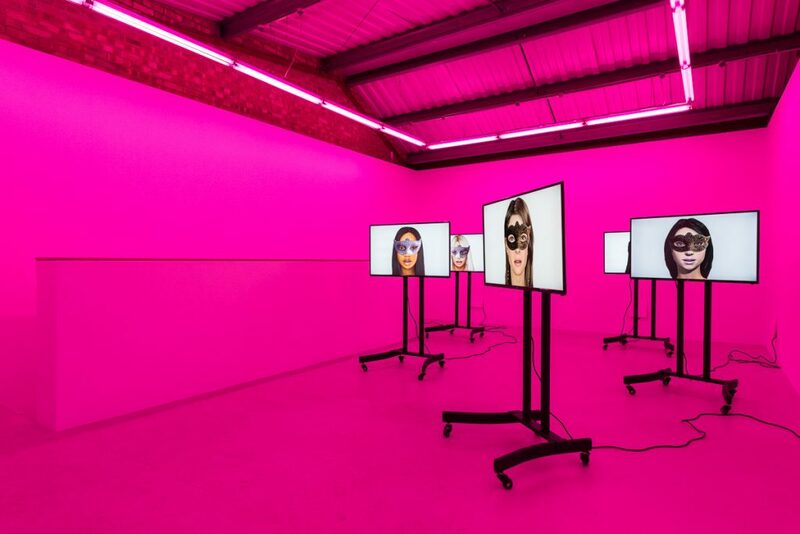 will be the artists’ Ashley Madison Angels At Work in London (2017), a continuation of !Mediengruppe Bitnik’s ongoing series researching Ashley Madison, the Canadian online dating service marketed worldwide to married people seeking an affair. In July and August 2015, an anonymous group called The Impact Team stole and released all of Ashley Madison’s internal data, including the website’s entire code and functionality, customer data, as well as the CEO’s emails. The data breach revealed that Ashley Madison had a hugely disproportionate number of male subscribers and virtually no female subscribers to its site. In response to the imbalance, Ashley Madison created an army of 75,000 female chatbots to draw men into (costly) conversations for the site’s profit. 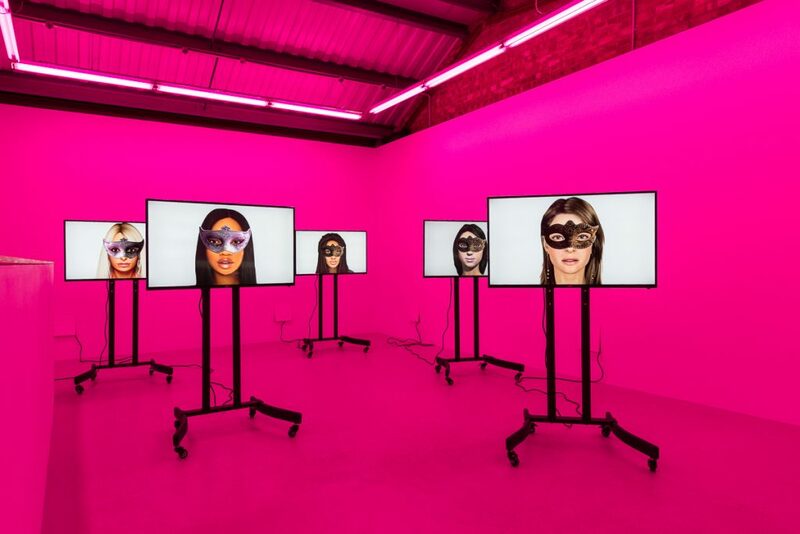 In Ashley Madison Angels At Work in London (2017), !Mediengruppe Bitnik uses the localised London data from the Ashley Madison hack to give temporary physical embodiment to five of the 436 fembots that were active in London at the time of the data breach. Each fembot has a name, age and location and uses sentences from a list of pick-up lines to contact other users. In total, there were 436 fembots created for London providing ‘entertainment’ to around 203,581 registered London-based users. Through Are You Online Now?, !Mediengruppe Bitnik raises questions about the current relationship between the humans and machines, the nature of internet intimacy, the blurring of the virtual and the physical and the disruptive use of digital platforms. 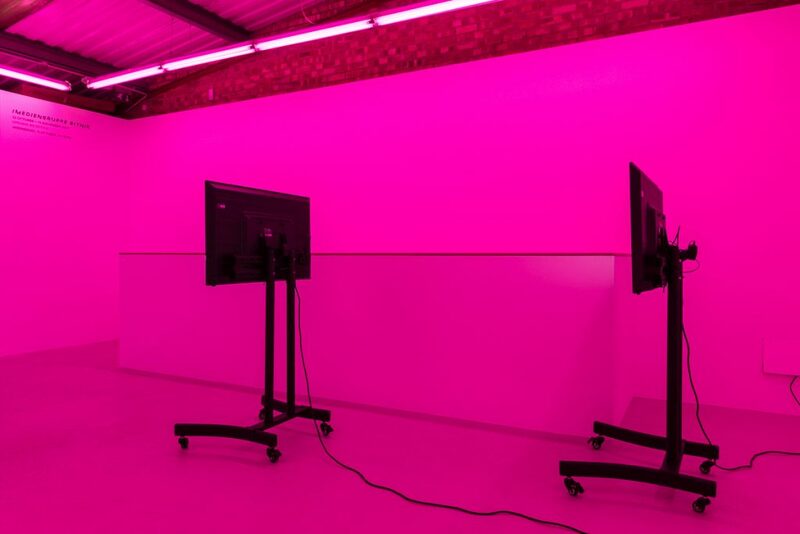 !Mediengruppe Bitnik ‘Are You Online Now?’ Installation view at Annka Kultys Gallery, London, 2017.